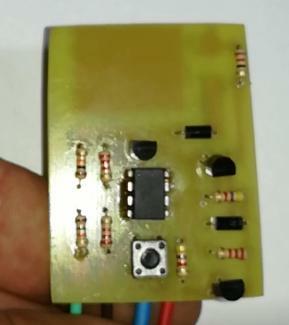 A reader of my sites and blogs, Mr. Liviu Hinoveanu wanted to replace classical DRL module made with 555 with Attiny85 programmed in Arduino style. After I undertand what module must work, I write DRL_ATtiny85.ino sketch. Mr. Hinoveanu made module and upload sketch in ATiny85 like in article from Programarea unui microcontroler ATTiny85 cu sketch Arduino. See the full post on his blog, Arduinotehniq. This entry was posted on Friday, March 30th, 2018 at 10:58 pm	and is filed under Arduino, AVR. You can follow any responses to this entry through the RSS 2.0 feed. You can skip to the end and leave a response. Pinging is currently not allowed.